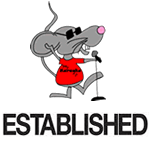 Voted Best Karaoke DJs, Karaoke Bars, & Karaoke Shows In Dallas Ft. Worth & Surrounding Areas > AUSTIN AVENUE > Looking For A Great Karaoke Show in Richardson, Tx? Are you looking for a great Karaoke show in Richardson Tx? The come on out to Austin Avenue for karaoke every friday and saturday night with DJDEX (Fridays) & DJFlex (Saturdays). The show is located at 1801 N. Plano Road, Richardson, Tx 75081. Show starts at 10pm and goes all the way until 2am. This is the best karaoke show in dallas for 5 years strong and it aint over yet. So what are you waiting for? Come on out, take a song slip. and have a seat until your name is called. Check out our great music library before you head out. Posted by Your Karaoke DJS.